Remember this: a strong, healthy economy is one where demand is always threatening to push inflation above the target zone. Our inflation rate’s been below the target for three years. 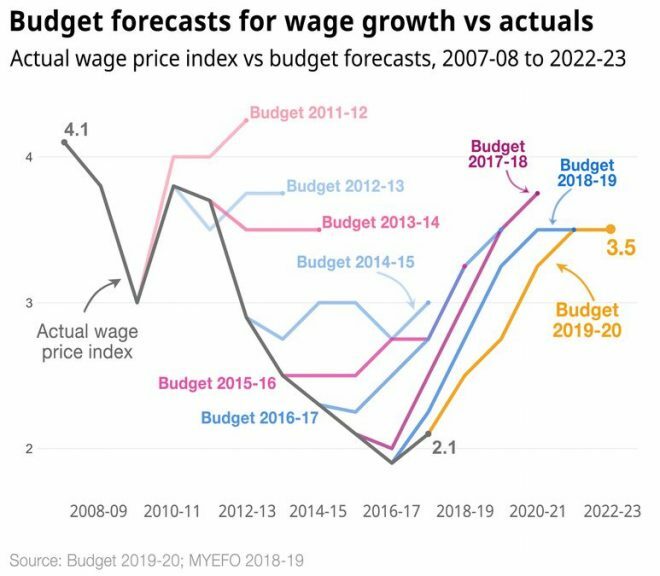 With the housing market (both construction and prices) crashing, and forward indicators for the labour market turning down, growth in the economy and wages will be lucky to hold current anaemic levels, let alone explode upwards as projected. The projected surplus is built on a foundation of quick sand. One day, ‘good Gittins’, another day, ‘bad Gittins’. He’s only human, I’d say inconsistency is normal. it was a good gittins day. in other news, the NSW upper house has been finalised. from the incumbents LNP lost 3 seats. ALP picked up 2. One Nation picked up 2. Christian Democrats (not Rev Fred who wasn’t up for election in 2019 lost one. Greens lost one and Animal Justice picked up one. Essentially – greens voted swapped out a green for an animal justice. The libs lost 2 to ALP, and 1 to One nation and the Christian Democrats lost theirs to One nation as well. Surely SAP can get a senate seat somewhere else, if the Animal Justice party is getting one. There’s a question of whether a surplus is even desirable at this point of the cycle – i.e. we are no longer in an upswing. The household sector is already tapped out – I don’t see where the surplus will come from other than maybe mining company tax but that is anemic compared to income tax receipts.